For anyone blogging, new or pro, it is a much accepted fact that your blog is your house and office. People visit you at your blog and talk to you there. What if your house was a dirty or messy place? In blogging, choosing a theme is the most important factor of the blog setting-up process. And for WordPress we have millions of themes to choose from. But, here again, our choices and our needs are varied. Different bloggers need themes of different types in order to serve their purpose. Here I present to you top 10 best genesis child themes for WordPress users. Genesis is the brain product of Copyblogger Media, the people behind Copyblogger, the religious blog for all bloggers and writers. Genesis is the most secure and SEO optimized WordPress theme framework and this does not imply it being nerdy or not beautiful. Themes on Genesis look elegant and optimized for conversions, may it be email leads or AdSense CTR. The best and elegant responsive themes are the household norms amongst the genesis developers. All of their themes are with lifetime support, means free update to every new changes. Want more about genesis, why not? I have a detailed review of Genesis where you’ll learn why you should use Genesis theme for your WordPress blog. Though genesis itself is a framework and there are literally 1000s of genesis child themes and Studiopress, the site selling genesis themes, has so many well designed and secure themes to choose from. Here are the best genesis child themes to install on your genesis framework. Parallax pro is the theme for any enterprise business or portfolio website. If you are looking for an elegant and a theme that will convert your reader into a customer through a powerful call to action button, then go for parallax. Parallax theme is 100% responsive so that you don’t miss a single reader on mobile. The developers have coded it as to have the best vertical design of content that is related to each other. The viewer is lead through different parts of the content to a final call to action button that has full chances of capturing him into a lead. Foodie theme is for people looking for a great experience with the security of Genesis framework. It is one of the fastest loading themes. Foodie theme has three color options to choose from and Ads ready. The ample ad space can be used to display ads of affiliate products and AdSense ads. The responsive design and widgetized home page makes it suitable for designing it into a layout of your choice. Foodie Pro theme is recommended for magazine style blogs, news and entertainment blog and also for food blogs. This theme understands the need of displaying your projects and portfolio to your audience in order to entice them. Executive Pro theme is particularly recommended for engineers and businessmen. You have a custom header and custom background setting that is not available in most premium themes. This can be utilized to place your company or office view in the background in order to show your authority and create a real office-like environment. This elegant yet minimalistic genesis child theme is perfect for businessmen and officials. Lifestyle theme is genesis’s best gift for magazine and news bloggers. If you are someone from the entertainment niche or you run a blog for lifestyle topics or light feminine niche, this responsive theme is perfect to display your content like articles and awesome videos without taking a chance with the design. With over six color facilities, this lifestyle theme gives you the flexibility to choose from featured slider layout, three column layout, and magazine layout. The ad spaces designed to give a high CTR meaning, they are so embedded within the layout that users will be attracted towards them thus helping you to earn a lot. Enterprise theme is yet again an exclusive and classy theme for the business people. Enterprise theme can be used by freelancers and web designers to give a whole new approach to their online business. The header itself is a big approach of defining what you do for your clients and what they can expect from you. You can place what services you offer to your clients right on the homepage so that this becomes your most conversion optimized business theme. A must have genesis child theme for the busy business people who want a rock solid framework and security of trust from the world’s leading theme selling company. This is a third party genesis child theme meaning that it is designed by designers outside the company. This shows that studiopress themes are not limited to finite talent. Modern blogger is a perfect genesis child theme for any blogger regardless of the niche. You can use it for health niche, entertainment niche or even technology niche. It fits in and that is the beauty of the theme. I recommend it to anyone looking for a best mobile responsive and secure child theme. The homepage and sidebar are designed to hold ads naturally may it be big 250*300 or smaller 100*300 ad sizes. This theme has built in portfolio page to showcase your abilities and is E-commerce ready. Yes, you heard it right. You can sell your products right from the blog itself. Magazine theme is the most loved genesis theme for lifestyle and fashion blogs. The magazine layout and ads ready nature makes it so good that it is even used by many tech bloggers. Magazine pro is flexible and premium at the same time. The gloss and style your content will emit on the theme will be a joy to read. Magazine pro theme is by far the most AdSense optimized and ads ready WordPress theme and these features don’t decrease the elegance of the theme. The responsive theme fits into the high-end devices of your readers like iPad and iPhones. The homepage can be customized to three column genesis child theme or simple blog layout genesis child theme. No wonder it oozes sizzle and style. Swank theme is one of world’s most used portfolio child themes of genesis. The open and airy look of the theme makes any client or lead feel at home. Exquisitely designed to give you portfolio the look it deserves. Swank theme is perfect for the freelance designers, home decor companies and interior designers who have full freedom to display their creativity. This theme does not require 1% of your coding talent. Just drag and drop and you are done. Metro is a sleek ultra-modern magazine style genesis child theme perfect for any modern blogger. The social features and a powerful “about the author” widget makes it easy for the owner to create a brand of him in the blogging niche. Metro is the new in-thing in the town and its three column widgetized footer enables you to get more of your readers at the time they are just drooling with your awesome content and site design. It has a significantly big email sign up form that will surely boost the email list of the owner. 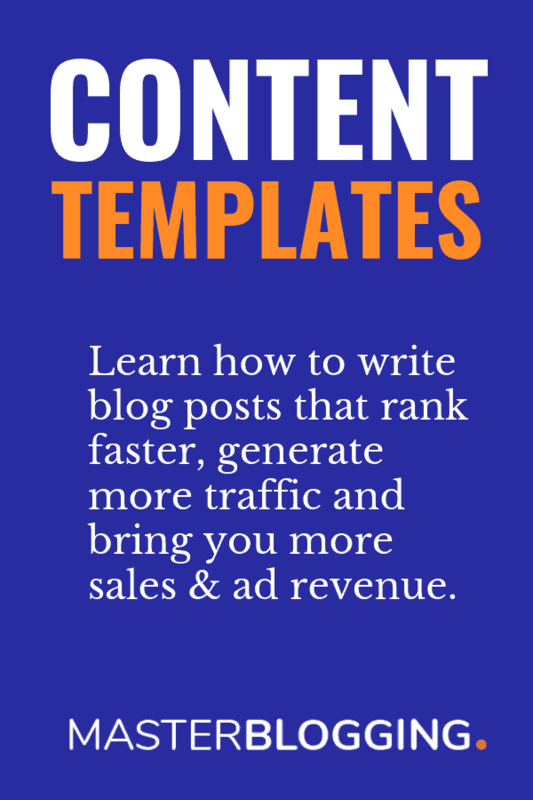 Have lots of content on your blog? News theme is here to let each of your articles grab an eyeball. Yet it is a fast loading theme. The news theme is the highest degree of flexibility a genesis theme can offer. The homepage has featured slider option and heavily widgetized article section that is perfect for any multi-niche blog. Each of your categories can display itself in the blog and yet leaving room for lots of spaces for ads to make your pockets warm. It has a large leader board ad space of 728*90 in the header that is perfectly optimized for high CTR. A must have genesis child theme for technology bloggers and multi-niche bloggers. Genesis themes are so feature ready and versatile that I can go over them for a whole day. And that’s the only reason I choose to write one more bonus point even if my top 10 list is complete. White space pro theme is one of the recent themes that is designed for showing off your writing style. A great header for your picture or your company slogan, elegantly spaced articles layout and social buttons that’s it. Can an author ask for more? This is by far the most beautiful and responsive theme I have ever seen. If writing is your niche, whitespace is your theme. So, these were the 10 top genesis child themes for WordPress blogs. The main reason genesis is so much popular and has no competitor when it comes to business is because it is the most secure and best after sales service providing company. There is no need of coding just drag and drop, still if you are confused they give you the best service and assistance in designing the theme as you want it to be. After selecting a theme of your choice, you might want to customize it according to your needs. To give your theme a unique and branded feel, follow my step-by-step tutorial on How to Customize Genesis Child Theme Without Touching Code? Very nice collection of best WordPress themes for both bloggers and online businessman. Parallax Pro and Executive theme are good for business website. I am looking for new theme to select for my blog, i am considering genesis framework as first priority, this article really helped me to know about the Genesis child themes thank you for sharing the information. Hi Ankit, so i stumbled upon your website on the first page and the first link of Google. Great SEO work done by you on your website. Now coming to genesis themes i am looking for a child theme for my tech blog. Can you suggest some good theme for tech blog? Hi glad to see your collection. Metro Pro look really nice, but the menu layout in mobile view is not really great. I wish they upgrade with hamburger menu. Hi… you suggest Metro Pro, but the menu doesn’t look nice on mobile as no humburger menu. Wish they release update on this. You can do tweaks in your theme or hire a developer to get it done for you. My choice is Metro theme. What you say about it? This is first time I have come to your blog.The list you provided is wonderful and much useful too for every newbie blogger. I am new to blogging field and loved the way represent information. Nice post. Thanks for sharing with us. What are your views on Studiopress i have purchased the Studiopress eleven theme but that theme is giving me hell lot of problems so i removed that one .. One more question which theme you are using in your site.. Because i like the structure and design of your site very much.. I love studiopress themes. If you are facing problem in setting it up, consider taking help from someone. Thanks Ankit for the list ! It is difficult to find curates list of themes so this post is quite useful. I am thinking of switching to Genesis soon as number of posts on my blogs grow. My current favourites themes are “Genbu” and “Evolve”. All the wordpress themes by Studiopress are simply amazing. The 10 you listed here are indeed not exceptional and I’ve used some of them before like the Lifestyle theme and i really love how neat it is. Another of their theme that i really love a lot but you didn’t mention it here is Prose, its such a lovely theme. your site has awesome theme, which theme are you using? Can you please suggest some best theme for my Blog, i have 90% visitors on Mobile. Please suggest a good theme. Thanks for sharing this artical. Genesis Child theme is great for SEO. But they are not cheap . I want to a free best genesis child theme. Tell me if you know. Thanks for sharing this post, Ankit. I want to know if there is any way to customize the Magazine Pro theme. Like changing it’s color from black to blue and change font size. Do share if any. Above mentioned all themes are perfectly suitable to any niche blog. You have missed Prose child theme….i am using Prose child theme on my blog and it is very well performing. Though I have seen live examples of Beautiful theme pro and magazine pro, but I have never heard before of Modern blogger pro. Hi Ankit thanks for the great post i’m also having a blog using Genesis framework + lifestlye pro theme it looks nice and my blog is about tech and gadgets so is there any child themes that would look great for tech blogs can you please give me some suggestions. I think Genesis should reduce their high price, because we small bloggers can’t afford these high end themes with high price tag and thanks for this list. Thanks for presenting such a good piece of content. I’m planning to purchase fodie pro theme. I think it will work for different blog types content. Hay Ankit, nice post. Thank you for providing the best themes in genesis. Could you please let me know a plugin which I can use to customize or edit some parts in the genesis theme. Hi Ankit, I have recently used “The Daily Dish” child themes on the genesis platform. I have found it to be a great theme. I had to modify some code in the css file to suit my situation. The other themes that I like are “Magazine Pro” and “Executive Pro”. “Magazine Pro” and “The Daily Dish” are great for Google AdSense websites. “Executive Pro” is great for business websites. Enjoyed reading your post and comments! Genesis themes are the best for WordPress. The themes are relatively clean and loads very fast. They are also easy to customize and supports Woo-commerce but with an additional plugin. I’m currently using Lifestyle pro on my educational blog. I am planning to go with Genesis framework for my new tech blog and this article really helps me in choosing it and i would like to know whether Genesis theme is good for long run? Which child theme is using shoutmeloud ? A very nice list of Genesis child themes. I also used Magazine Pro theme on my blog when I was started. And it was amazing even with little to no customizations. Great list. I want to start my Amazon affiliate website. So, can you tell me, which theme should I use for my website?